Raw rolls further towards Money in the Bank with two more qualifying Triple Threats! For the men, it will be Bobby Roode, Baron Corbin and No Way Jose. For the women, it will be The Huggable Bayley all alone against Alexa Bliss & Mickie James! Plus, Kevin Owens challenges Rollins for the Intercontinental Championship! WWE Intercontinental Championship: Seth Rollins VS Kevin Owens; Rollins wins and retains the WWE Intercontinental Championship. Men’s Money in the Bank Qualifying Triple Threat: Bobby Roode VS No Way Jose VS Baron Corbin; Roode wins and joins the Men’s MITB Ladder match. The B Team VS Breezango; The B Team wins. Six Woman Tag: Sasha Banks, Ember Moon & Natalya VS The Riott Squad; Sasha, Ember & Natty win. The Revival VS The Deleters of Worlds; The Deleters of Worlds win. Women’s Money in the Bank Qualifying Triple Threat: Bayley VS Alexa Bliss VS Mickie James; Alexa wins and joins the Women’s MITB Ladder match. Dolph Ziggler & Drew McIntyre VS Finn Balor & Braun Strowman; Ziggler & McIntyre win. Men’s Money in the Bank Qualifying Triple Threat: Bobby Lashley VS Elias VS Jinder Mahal Kevin Owens; Kevin wins and joins the Men’s MITB Ladder match. Radio City Music Hall had WWE on the red carpet. But the biggest news to come out of this, was the Raw Women’s Champion, Nia Jax, calling out “Rowdy” Ronda Rousey! Is the Irresistible Force looking to up the ante in her first title reign? Roman Reigns is in London! The Big Dog survived Samoa Joe at Backlash, but a win is a win, and Raw is still His Yard. However, his ability is being questioned all over again, as Jinder Mahal robbed him of a win last week. Roman hears the crowd in the O2 Arena, then tells them he got robbed. Not by WWE management, but by the Modern Day Maharaja. He cuts to the chase: if Mahal wants to be more relevant than ever before, “face me like a man.” Roman waits, but instead of Mahal, he gets Raw General Manager, Kurt Angle! Call out @JinderMahal? Get @RealKurtAngle! Angle says that won’t happen, either. Management made it clear, Roman will have no more opportunities. Angle knows that’s bad, and that Roman’s been screwed over. Roman isn’t upset with Angle, he’s just doing his job, doing what he has to for his family. Angle is thankful for that. But Roman says he’s going to do what he has to do. Roman leaves, and Angle follows him out. Roman lurks the halls, searching for Mahal. And when he finds him… It’s time for a fight! Mahal uses Sunil Singh as a shield, then throws hands. He throws Roman into walls then stomps away on him, even using a trash can as a weapon. But Roman turns things around by throwing Mahal into railing and tables and trunks. Roman does not let up on Mahal, he rams a trunk right into the Maharaja’s ribs! They end up going out to the arena, to the stage and to the ramp. Roman loads up, and hits a SUPERMAN PUNCH! Roman wants more but Angle and security get in his way. Mahal runs but fans want to “Let Them Fight!” Roman doesn’t get his full revenge, but will he be stopped when he tries again? WWE Intercontinental Championship: Seth Rollins VS Kevin Owens! The Prizefighter wanted to be in the Men’s Money in the Bank Ladder Match, but was put up against the Monster Among Men, Braun Strowman. With no path to the Universal Championship, Kevin decides he wants what The Architect has. 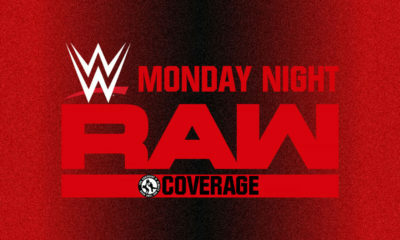 Can #MondayNightRollins continue to #BurnItDown as a fighting champion? Or will the #KevinOwensShow be renewed with another Intercontinental reign? Can @FightOwensFight capture the #ICTitle from @WWERollins at @TheO2? Jojo makes the proper introductions, and the bell rings. Fans already chant for Rollins as he and Kevin circle. They tie up and Kevin clubs away on Rollins. Kevin chops then stomps Rollins, going off at the ropes. Kevin puts Rollins in a corner for body shots, then stalks him to another corner for shoulders. He whips Rollins corner to corner but Rollins fires back out with a clothesline. Rollins chops Kevin back, then throws hands. Rollins stomps Kevin in a corner now, then backs off at the referee’s count. He chops and whips Kevin, but Kevin rolls out of the ring to catch his breath. Rollins rocks Kevin as he tries to get back in, then builds speed to DIVE, only for Kevin to catch and toss Rollins into a post! Kevin drags Rollins up and back into the ring. Back senton, then cover, TWO. Kevin keeps on Rollins with a knee to the back and a chinlock with both hands. Fans rally for Rollins, and he feeds off their energy. Rollins jawbreakers out, but then Kevin tosses him up and out of the ring. The Prizefighter has control while we go to break. Raw returns to Rollins fighting up and out of the half-surfboard, but Kevin brings him back down. Kevin pulls Rollins back while fans rally for the champ. Rollins fights his way up again, but Kevin drives in a knee. Kevin lifts but Rollins resists. Rollins staggers, then side steps to send Kevin out. Rollins fires up but Kevin drags him out of the ring. Kevin wants but Rollins avoids the apron powerbomb. The two climb up and fight on the apron, and Kevin wants it again, but Rollins holds on. Rollins fights Kevin off, then boots him in the face, before giving him a FALCON’S ARROW ON THE APRON!! Both men tumble to the floor while fans cheer. The ring count reaches 5, though. It reaches 7, and they both stand. They both enter at 9, and this match continues. Kevin and Rollins stand, and Kevin gives Rollins a headbutt. Rollins punches back, but Kevin clubs his back. Rollins throws more hands, and chops, but Kevin knees low. Kevin runs in but is sent out again, and Rollins DIVES! Rollins takes Kevin out but keeps going, he runs for a second DIVE! Fans want “One More Time,” but Rollins puts Kevin in the ring for the springboard lariat! Rollins fires up again, and runs in for a forearm smash in the corner. He runs, but Kevin follows, only for Rollins to boot him back. Rollins hits a Blockbuster, covers, TWO! The Architect keeps his focus while fans rally again. Rollins stands while Kevin stirs. He wrings Kevin out but Kevin hits back. Kevin dodges a kick to give one, then give a DDT! Cover, TWO! Kevin grows frustrated, and works on what to do next. He drags Rollins up, whips him for the Pop-up, but Rollins slips out. Rollins tries for something but Kevin back drops him. Rollins lands on his feet, to mule kick Kevin. Kevin dodges the stomp but gets a forearm, to give a SUPERKICK, that Rollins gives a Pele to! Kevin clotheslines, covers, TWO! Both men are down but stirring. Fans declare “This is Awesome!” Kevin walks over Rollins, then climbs up to the top rope. Kevin tries for a Swanton, but Rollins counters with his knees! Rollins starts up the stomp, then runs at Kevin, but Kevin rolls him up. Rollins rolls through, mule kick, Revolution Knee! Cover, TWO! Fans rally as Rollins gets himself to a corner and climbs up. Rollins takes aim, FROG– Into knees! Cover, TWO!! Kevin hurries to a corner, climbs up top again, but Rollins rocks him with a forearm. Rollins climbs up to join Kevin, but Kevin fights back. Rollins staggers down, but springs right up, but it’s Kevin’s SUPER FISHERMAN! Kevin goes for a cover but Rollins rolls away and out of the ring. Fans again agree “This is Awesome!” as Kevin fetches Rollins. They both go back into the ring, CURB STOMP OUTTA NOWHERE! Cover, Rollins wins! The Kingslayer guts out another major match and major win. The Grand Slam fighting Champion rolls on, who will be next to step up? 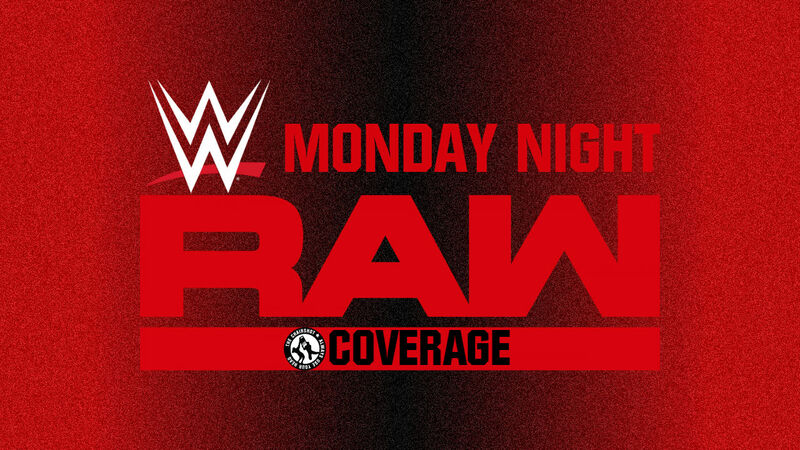 Raw takes a closer look at the NYC Red Carpet event. WWE was represented by many, but especially by Charlotte Flair, Ronda Rousey and Nia Jax. Cathy Kelly would congratulate Ronda on her Wrestlemania and in-ring debut. Ronda was proud of that moment, but she knows it was only the beginning. Charlotte dared Ronda to “WOO~”, and Ronda gave it her best shot. Nia dared Ronda to see if she could be champion. Ronda figured time would tell, but Nia needed a challenger. So the champion challenged Ronda to be her challenger. Ronda humbly felt it’d be best if a more experienced superstar got the shot, but Charlotte wanted Ronda to accept. Ronda did accept, and “this is going to be good. WOO~!” The match is made, will Ronda be a Women’s Champion this early in her career? Kurt Angle is in his office. Even he is shocked this match was made. However, he’s interrupted by the duo formerly known as THe Miztourage. Bo Dallas & Curt Axel agree that women’s championship match will be epic. And they want their own Raw Tag Team Championship match. They’re the A-Team! That’s already something. How about the B-Team? That’s dumb. B as in Best! The B-Team wants a match. Well to be honest, these two have not won a match together period. Yet they want a title match against the guys who just beat them? Okay okay, Bo & Axel may not have many wins as The Miztourage, but The B-Team is undefeated at 0-0. No, Angle isn’t giving them a title match. 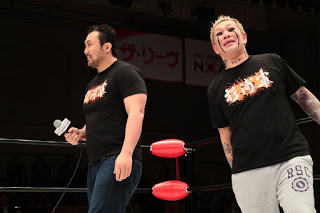 But the “B-Team” can make their debut, so long as they leave him alone. Deal! Men’s Money in the Bank Qualifying Triple Threat: Bobby Roode VS No Way Jose VS Baron Corbin! The GLORIOUS One, the Fighting Fiesta and the Lone Wolf are all getting a great opportunity with this qualifying match. 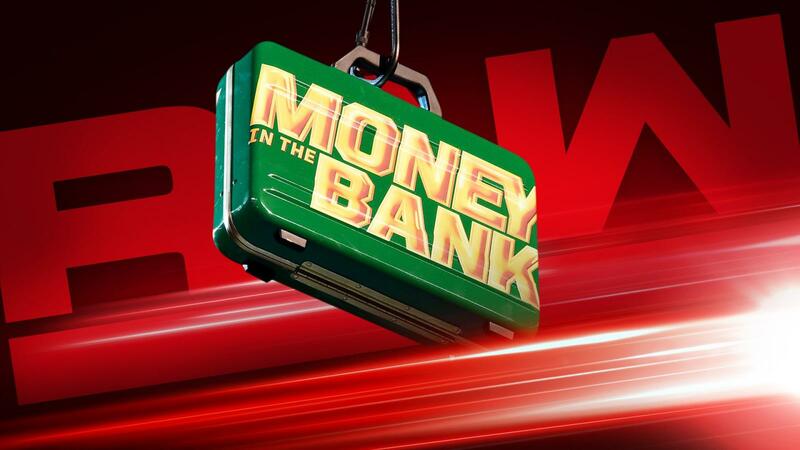 Who will win and join Braun Strowman, Finn Balor, The Miz and Rusev in the 8-Man Money in the Bank match? The bell rings and Corbin throws hands on both men. He scrapes Jose out of the ring and into steel steps. Then he goes after Roode, but Roode fights him off. Roode whips corner to corner but Corbin reverses, only for Roode to go up and over. Things speed up and Roode runs Corbin over. Roode hits a clothesline in a corner,but Corbin shoves out of the neckbreaker. Corbin runs into boots, then Roode hits the Blockbuster, cover, TWO. Roode grabs Corbin at the apron but Corbin hotshots him away. Corbin catches his breath but Jose runs him over! The Fighting Fiesta is still in this as we go to break. Raw returns to Corbin holding Roode down in a chinlock. Roode endures the half-nelson chinbar while fans rally. Roode fights up to his feet, then fights out of the hold with haymakers and chops. He runs, but into Corbin’s side slam. Cover, TWO, and Jose slowly returns. Corbin blasts Jose away, then goes out to put Jose into barriers. Jose slumps down and Corbin returns to Roode in the ring. He stomps Roode in a corner, but Jose returns again to throw hands! Jose whips but Corbin reverses, only to miss. Corbin slides out then in, but gets Roode instead of Jose. Jose rocks Corbin with rights, then a boot. Jose hammers away, and fires up! He climbs up and leaps for a big crossbody, but Roode breaks the cover. Roode goes after Jose with a whip but Jose reverses, only to run into Roode’s boots. Roode flies but Jose ducks under, and runs into a GLORIOUS Spinebuster. Corbin breaks this cover, and all three men are down. Fans slowly build to a rally, and Corbin stands up first. Corbin grabs Roode, puts him in a corner and gives him a right hand. Corbin lifts Roode to the top rope, then climbs up, but Jose joins in. Jose knocks Corbin down and goes after Roode. Roode fights Jose off, knocking him down with a right. Roode takes aim, and leaps for a flying lariat. Fans fire up for Roode as he winds it up… GLORIOUS Pose! But Corbin is there, so Roode has to take him out first. Jose rolls Roode, TWO! Jose clotheslines Roode out, and fans start cheering for him. Corbin stands, and hits JOse away from the apron. He LEAPS at Roode with a lariat, then stomps away in rage. Corbin takes aim at Jose in the ring, but runs into a boot. Jose runs out, but runs into a Choke Slam Backbreaker! Cover, TWO! Corbin grows frustrated, and takes it out on Jose with forearms. Roode returns, but Corbin grabs him now. He lifts but Roode slips out and rolls up, TWO. Roode dodges, but runs into Deep Six! Cover, Jose breaks it just in time. All three men are down again, but stirring. COrbin powers Jose to a corner, then runs to give Roode a clothesline. Corbin clotheslines Jose, then goes back, only for ROode to send him into the post. Jose lifts Roode, but Roode slips out, GLORIOUS DDT!! Cover, Roode wins! The Money in the Bank match is now Absolutely GLORIOUS with Roode joining the field. Can Roode climb up above the likes of The Miz, Finn Balor, Rusev and Braun Strowman to be Mr. GLORIOUS in the Bank? Kurt Angle encounters Kevin Owens backstage. Kevin wants to know if Angle saw what happened in his Intercontinental Championship match with Rollins. Kevin wants another rematch. No, it’s done, he lost. Kevin deserves a rematch after all he’s been through! “Do something!” “Or what?” Or Kevin will call Stephanie. Angle’s really sick of this. But it’s not just a threat. Kevin gets out his phone. Angle checks on Mahal instead. Mahal wants to postpone tonight’s Triple Threat, he cna’t compete after what “that animal” Roman did to him. Angle took care of Roman, he’s sent home for the night. But this match has to happen, it’s the last qualifying night. It’s #BestForBusiness. Mahal vows to do what Roman couldn’t, but he needs a lot of ice. Will Mahal be ready for The Drifter and the Alpha Male later tonight? The B Team VS Breezango! Bo Dallas & Curt Axel have rebooted themselves now that they’re without The Miz. Will “The Best Team” be able to best the Fashion Police and “remain undefeated”? The bell rings and Prince Pretty starts against Bo. They tie up, and Bo rolls Breeze, TWO. Bo has the fans behind him, but Breeze backslides him. TWO, so time for an Oklahoma Roll, TWO. Small cradle, TWO and Axel gets Bo away from Breeze. 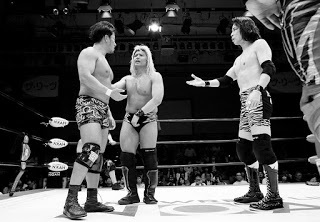 The B Team talk strategy, then Bo goes back in, only for Breeze to dropkick him down. Breeze swipes at Axel but Bo catches him with right hands. Bo tags to Axel and feeds Breeze to the DDT, cover, TWO. Axel keeps on Breeze with a chinlock. Fans rally and Breeze stands up, only for Axel to throw him down. Tag to Bo, and Bo drops knees over and over on Breeze. Cover, TWO, but Bo keeps Breeze down in another chinlock. Fans sing as Breeze fights out again. Bo reels Breeze in but Breeze counters with a back suplex. Both men are down, but crawling, hot tags to Axel and Fandango! Fandango rallies on Axel with jabs and clotheslines. Bo comes in but gets the atomic drop, then Fandango uses him for the tornado DDT, cover, TWO. Fandango keeps Bo down but Axel rolls him up, TWO. Powerslam! TWO, but Fandango keeps focus. He climbs up to the top rope, takes aim, and Breeze goes after Bo. Bo puts Breeze into barriers, and Axel avoids the flying leg drop. Axel tags Bo, and Bo brings Fandango up. The B Team hits the back suplex neckbreaker, cover, The B Team wins!? Their first team win ever and it was as their first match as this new team! Well, it’s only a re-branding, but still. What are they feeling after their first win ever? “That just happened! !” The B Team did it! Anything is possible for the B Team. Bray & Matt, the B Team is coming for those Raw Tag Team titles! The fans chant along with “B Team! B Team!” Will this “undefeated streak” take Bo & Axel to the very top? Or will there be nothing they can do to stop from being DELETED? Six Woman Tag: Sasha Banks, Ember Moon & Natalya VS The Riott Squad! The Boss has had trouble with the numbers game with Ruby, Sarah & Liv. But this time she has reinforcements she can count on, as the Prophecy of Flame and the Queen of Harts are joining her tonight. Will Sasha, Ember & Natty #EclipseTheCompetition? Or will The Squad #StartaRiott in the UK? The bell rings and Ember starts against #KentuckyStrong. They tie up, and Sarah powers Ember to the mat. Sarah goes after Ember but Ember counters with a headscissors. Ember runs and flips through the hip toss to then arm-drag Sarah away. Sasha tags in and adds low double knees, cover, TWO. Fans rally while Sarah fights back against Sasha. Sasha hits a Thesz Press and hammers away, but Sarah bucks her off. Sasha puts Sarah in a corner, then wrings the arm, but Sarah pulls the hair. Sarah carries Sasha to the Squad’s corner and tags in Ruby. Ruby mugs Sasha, then tags Liv. Liv helps Ruby mug Sasha more, then tags in Sarah to get her shots in. Sarah tags to Ruby, and fans rally as Sarah and Ruby double suplex. Sasha slips out and sends Sarah’s kick into Ruby to then kick Ruby down. Sarah swings but misses, and Sasha knocks her away. The Squad regroups on the outside, then all go after Sasha. Natty and Ember back Sasha up, though, and things are at a stalemate as we go to break. Raw returns and Sasha and Natty double suplex Liv. Natty holds Liv down with a facelock, but Liv goes Matrix to avoid the clothesline. Liv then brings Natty down with a drop toehold, and stomps her on the back. Liv stomps away on Natty, then drags her up. Natty powers Liv to the corner and tags in Sasha. Sasha stomps and wrenches Liv to the mat. Liv gets up and pulls hair, but Sasha reverses the whip. Liv kicks Sasha back while Sarah tags in, but Sasha arm-drags Liv and dropkicks Sarah. Sasha rocks Sarah on reentry, but gets distracted by Ruby. Sarah pounces with a big knee lift, then covers, TWO. Sarah thrashes Sasha around, then fires up. She drags Sasha to the Squad’s corner and tags in Ruby. Ruby throws hands, then puts on a chinlock. Ruby grinds Sasha down but fans rally. Sasha fights her way up and jawbreakers Ruby away. Sasha runs, only to run into a clothesline! Cover, TWO, but Ruby puts Sasha in the corner. Ruby tags to Liv, Liv climbs up, and Ruby feeds Sasha to Liv’s knees. Liv gives Sasha a flying bulldog, then covers, TWO. The Squad grows frustrated with the former women’s champion. Natty and the fans rally while Liv puts Sasha in a straitjacket stretch. Sasha endures, and works her way out. Sasha throws Liv off, but Liv dropkicks her down. Cover, TWO, but Liv tags Ruby. They mug Sasha more, then Ruby rams in shoulders. Ruby taunts her opponents, but Sasha throws Ruby into the Squad! Liv tags in, but Sasha shoves her away. Liv jumps past Sasha to deck Ember buut misses Natty. Sasha rolls, TWO, hot tag to Natty! The Queen of Harts rallies as she Russian Leg Sweeps Liv and rocks Sarah. Liv misse sin the corner, rebound sit down and low dropkick! Natty keeps going, discus lariat! Then Natty goes after the legs, for the Sharpshooter. Ruby runs in but is thrown out by Ember. Ruby drags Ember out and they brawl. Small package, TWO. Enziguri from Liv, and cover, Ember breaks the cover just in time. Sarah rocks Ember, but Ember pushes her back. Ember throws Sarah out, then Sasha dives on Sarah with METEORA! Ember DIVES on Ruby! Liv still has Natty, but Natty reverses into the Sharpshooter! Liv taps, Natty and team win! The Queen, the Boss and the War Goddess give the Squad a taste of their own medicine. Ember herself rolls on towards the Women’s MITB match, will the Moon Rise above the rest? Drew McIntyre & Dolph Ziggler speak. The Stud & The Show-Off feel everyone else has gone soft. The WWE had warriors and legends, but now it’s just pigs stuffing their faces. Finn Balor, Braun Strowman, two men who made it to the top, through shortcuts. Choreographed entrances, smoke and mirrors, and acting like a mindless meathead. These “superstars” aren’t hungry, but these two are going to remind everyone. They’re going to flip the tables on the Raw roster, but will they end up flipped by the Monster Among Men and his Extraordinary tag partner? The Revival VS The Deleters of Worlds! Raw is WONDERFUL~ now that Woken Matt Hardy and Bray Wyatt are here. Will they make Scott Dawson & Dash Wilder OBSOLETE in the Raw Tag Team Division? The bell rings and Dash starts against Matt. They tie up while fans sing for Bray. Dash wrenches Matt’s arm but Matt reverses it around into shoulder breakers. Matt wrings Dash down but Dash kips up and breaks free. That was WONDERFUL~! The fans applaud with Bray & Matt. Matt then throws hands and tags in Bray. Bray whips Matt into Dash, then Matt feeds Dash to Bray’s clothesline. We see The B Team taking notes while watching backstage. Bray clubs on Dash, but Dash hits back. Dash tags to Dawson and the #TopGuys double headbutt Bray. Dawson whips but Bray reverses. Bray misses in the corner but spooks Dawson with the spider walk. Bray uppercuts Dawson down, then gives a back senton. Tag to Hardy, and he holds Dawson up for Bray, it’s a headbutt to leg sweep! Cover, TWO, and Dawson pushes Matt. He tags Dash, and while Hardy reverses Dawson, Dash dropkicks a leg out. The Revival have a target, and they go at it as Dash puts Hardy in a Tree of Woe.Tag to Dawson and they hammer away on the knees. Dawson backs off to let Hardy out. Bray and the fans rally for Hardy, but Dawson gives a dragon screw into the toehold. Fans rally and Hardy fights but Dawson wrenches deeper. Matt keeps fighting, and hops towards ropes for the ropebreak. Dawson tags Dash in and they stomp Matt down. Dash uses the ropes to wrench the knee, but lets go at 4. Hardy fights back and hits a Side Effect! Both Hardy and Dash are down but crawling. hot tags to Dawson and Bray! Bray rallies, runs corner to corner for the body splash. Bray says “DELETE!” then slams Dawson with the yurinagi. He goes over to Matt for a WONDERFUL Spider Walk. Tag in, Twist of Fate to Dash! Then together, the KISS OF DELETION! Cover, Hardy & Wyatt win! The Expedition of Gold continues on with yet another WONDERFUL victory. Will there be a team of contenders worthy enough to challenge this WOKEN Yin-Yang at Money in the Bank? Sasha wishes Bayley luck tonight. Bayley thanks her. It isn’t much, but it is a slightly more friendly interaction than we’ve seen lately. Can the Huggable Bayley succeed in qualifying for the Women’s MITB match? Sami Zayn is in the ring. The Underdog and best friend of Kevin Owens wonders if anyone noticed how Prince Harry looks a lot like him. “Yes! Yes!” And from what we’ve heard, Harry is a fan of Sami’s. Maybe more than Bobby Lashley is, at least. “Mr. Jacked Up” leaves WWE for ten years and returns on Raw the same night Sami does. Lashley makes an impact, that’s well and good, but at Sami’s expense! Sami reviews footage of the “vertigo inducing” suplex. Fans cheered for all of that, but did anyone stop to think how it’d affect Sami? No they didn’t. Sami got vertigo! He has a doctor’s note , and reads it for us: “Vertigo is a debilitating condition that affects one’s balance and motor skills.” There you have it! That’s why he wasn’t in the Greatest Royal Rumble and why he lost the MITB qualifying match, and all the matches he’s had since! Bobby Lashley targeted Sami! All to impress the fans? That’s disgusting. What’s worse, it’s working. Fans cheer, Lashley gets notoriety, and gets a sit-down interview with Renee Young! Sami watched Lashley’s interview, and it all made sense. Lashley wants to be Sami. Just think about it. The hat! That’s Sami’s hat. Sami trusts his instincts, and his instincts are saying Lashley has something to hide. Sami used Facebook and reached out to Lashley’s sisters. Boy oh boy, they had stories to tell! They are nothing like what Lashley said, and neither is Lashley. But that’s fine, just ask his sisters! Sami invited the Lashley sisters to attend Raw, and Sami will expose the REAL Bobby Lashley to the world! What new conspiracy has one half of the #YEPMovement concocted now? Women’s Money in the Bank Qualifying Triple Threat: Bayley VS Alexa Bliss VS Mickie James! Can @MickieJames get one step closer to being a 7-TIME #WomensChampion by earning the #MITB contract? The Goddess and her bestie are in this match together against the Huggable One. All three are former women’s champions, but will Bayley have a chance when this is practically a handicap match? Or will the greed break Alexa & Mickie up like it has so many others before? Is #MITB in @itsBayleyWWE's future? The bell rings and fans already sing for Bayley as she comes under fire from both Mickie & Alexa. They both kick Bayley out of the ring, but stay on the same page while we go to break. Raw returns and Mickie holds Bayley in a chinlock while Alexa taunts her. Bayley endures and fans rally, but Alexa sweeps Bayley’s legs to keep her down. Alexa keeps taunting, but Bayley kicks her away and gives Mickie a jawbreaker. Alexa returns but Bayley rocks her with a right. Bayley Thesz Press on Mickie but Alexa dropkicks Bayley off Mickie. They both go after Bayley but Mickie rolls Alexa! TWO, and the friends start showing each other. Bayley runs in but they both kick her down. Mickie & Alexa work together again to put Bayley in a corner and stomp away. They double suplex Bayley up to the top, then both climb up while the fans sing for Bayley. Bayley fights back and sends them both down. Bayley adjusts, and flies for a double crossbody! The three stand up and Bayley rallies on the best friends. She saido suplexes Alexa, but Mickie kicks low. Mickie goes to throw Bayley out but Bayley reverses. Bayley catches Mickie and Alexa for a double hotshot! Bayley rams a shoulder into Alexa, then waves her arms, for the back elbow. She runs into Mickie’s uppercut, then Mickie hits the Mick-canrana. Mickie mocks Bayley but runs into snake eyes. Alexa kicks Bayley, then hits the sunset powerbomb! Mickie kicks Alexa off the cover! All three are down again but fans rally. They slowly sit up, and Bayley is 2v1 even as they brawl. Bayley fights them both back, and ducks to send Alexa’s forearm into Mickie! Mickie gets mad, and Alexa tries to explain it was an accident, but Bayley sandwiches them in the post. Alexa puts Bayley on the apron but Bayley kicks Mickie away. Bayley climbs, flies, but Alexa gets under. Alexa goes up and over but Bayley sits down, TWO. Bayley hits the Bayley2Belly! Cover, Mickie drags her off! Mickie covers, but Bayley drags her off in return. They brawl, and Bayley shoves Mickie down. Alexa rocks Bayley with that killer right! Then the DDT! Cover, Alexa wins! The Goddess joins the #Shenom and The Queen for a chance at the instant championship match contract. There are five spots left in all, who else will join these star former champions? Jinder Mahal undergoes final preparations for the Triple Threat. The Modern Day Maharaja will prove to Roman Reigns why he is the superior. But those ribs are still in bad shape. Roman SPEARS Mahal out of nowhere!! The Big Dog just took Mahal out of the Triple Threat, but will he really be allowed to take Mahal’s place? Kurt Angle sees what happened to Jinder Mahal. The second Triple Threat will still happen, but not with him. Angle hurries to find a replacement. Dolph Ziggler & Drew McIntyre VS Finn Balor & Braun Strowman! The Show-Off & The Scottish Stud say they are the show, but can they show they’re more hungry and determined than the Extraordinary Man and the Monster Among Men? The bell rings, and Ziggler wants to start with Finn, but fans want Strowman. Strowman lets Finn start, and the inaugural Universal Champion starts against a former World Champion. They tie up, Finn gets the waistlock but Ziggler the standing switch. Finn switches back but Ziggler punches him away. Fans chant for Finn but Ziggler whips. Finn reverses, Ziggler sunset flips but Finn rolls through to dropkick Ziggler. Cover, TWO, but Finn keeps on Ziggler. Ziggler slips away before Finn can tag out, so Ziggler tags out to McIntyre. One big man deserves another, so Finn tags in Strowman! The Celtic Colossus is face to face with Mount Strowman, and McIntyre is pumped up. Only to tag out to Ziggler. The mind games are in their favor while we go to break. Raw returns and Strowman has Ziggler in his arms. Finn tags in and becomes Strowman’s weapon in a scoop slam senton. Strowamn says Finn is fine so he can get up. They both roar, and Finn drags Ziggler up. Ziggler jawbreakers but runs into a dropkick. Ziggler gets out of the ring, so Finn builds speed, but McIntyre trips him! Strowman protests but he hast to stay in his corner. Ziggler tags McIntyre in and McIntyre goes after Finn with a sharp chop. McIntyre brings Finn up for a stiff right, then stomps him. McIntyre mocks Strowman then stomps Finn more. He chops Finn again, then tags Ziggler in. Ziggler kicks Finn in the ribs, then taunts Strowman. Finn reaches for a tag but Ziggler keeps him away with a neckbreaker. Cover, TWO, but Ziggler keeps on Finn with a chinlock. Fans rally for Finn as he endures the sleeper and body scissors. Finn gets up and reaches, but Ziggler drags him down again. Ziggler tags in McIntyre, and McIntyre brings Finn up to throw him into the corner. Finn fights back, booting McIntyre away, only to run into McIntyre. McIntyre knees and clubs Finn down, then stares Strowman down. McIntyre puts Finn in a corner for another chop. He whips Finn corner to corner but Finn evades. McIntyre runs into buckles, and fans rally. Hot tags to Strowman and Ziggler! The Monster runs Ziggler and McIntyre over, then clubs Ziggler right in the chest. Strowman takes aim from a corner, but Ziggler dodges to send him into the post! Finn tags in, and goes after Ziggler with double stomps. Finn fires up while Ziggler goes to the corner, and hits a running chop. He whips corner to corner but Ziggler reverses. Finn goes up and over but Ziggler elbow shim, only for Finn to enziguri Ziggler. Elbow drop DDT, but McIntyre breaks the pin. Finn goes after him but Ziggler then rolls Finn up, TWO. Slingblade! Finn takes aim from the corner now, and blasts Ziggler with the dropkick. He climbs up now, but McIntyre brings him off. Strowman runs McIntyre over!! AND BREAK THE TROPHY! Ziggler goes after Finn, covers, he & McIntyre win! Not only do the Show-Off & Stud steal the win, they cost Strowman his Greatest Royal Rumble trophy! While Strowman & Finn are in the MITB match, can they snap back from this defeat? Or will Ziggler & McIntyre steal everything from the spotlight to the titles? Kurt Angle is back in his office. The Triple Threat is happening, but not with Mahal and not with Roman. He has the perfect replacement, though. But, wait, what? Another opportunity? Angle knew Stephanie was getting a call from Kevin but… Is what’s happening really #BestForBusiness? The Drifter is in the O2, but he’s interrupted by Kevin Owens! Men’s Money in the Bank Qualifying Triple Threat: Bobby Lashley VS Elias VS Kevin Owens! The Alpha Male and The Drifter thought they were facing The Modern Day Maharaja for this golden opportunity. But after The Big Dog demolished Mahal, a replacement was named, by the Raw Commissioner, Stephanie McMahon. The Prizefighter waits for no one, but can he make the best of this second second chance? The bell rings, and Kevin bails out of the ring, as usual. Elias goes after Lashley and Kevin joins in. They both club and stomp Lashley down, then double whip Lashley corner to corner. Kevin whips Elias in but Elias misses and Lashely runs Kevin over. Lashley gives Kevin a neckbreaker, then punches Elias away to clothesline him out. Lashley holds the ring while we take one last break. Raw returns one last time, to Kevin whipping but Lashley reversing to send Kevin into barriers. Lashley whips Elias for the same, then bounces Elias off the edge. He puts Elias in the ring, but Kevin lurks up behind to anchor his foot. Elias dropkicks Lashley down, still working together with Kevin. Kevin puts Lashley in the ring, then holds him still for Elias to stomp on. Elias and Kevin keep Lashley down, then bring him up for chops. Fans sing for Elias as he stomps on Lashley, but then he and Kevin turn on each other. They start brawling, Kevin chops, then Elias chops. Elias whips but Kevin reverses to run Elias over. He adds the back senton, covers, TWO. Kevin grows frustrated, so he scoops Elias. Elias slips out to scoop and toss Kevin. Elias starts, but Kevin interrupts again. Elias gets Kevin with a knee, covers, but Lashley breaks it. Lashley puts Elias in a corner and throws hands, then bounces Elias off buckles. Lashley whips Elias corner to corner but Elias dropkicks Lashley, only for Kevin to SUPERKICK! Kevin runs in but the cannonball hits buckles. Elias climbs up, takes aim, and hits a BIG elbow! Cover, but Lashley drags him off. Lashley and Elias stare down, and Elias backs off. Elias ends up back in the ring, runs but Lashley keeps up to clothesline Elias down. He throws Elias with a belly2belly then throws Kevin, too. He rams a shoulder into Elias, then lifts him up for the vertigo suplex. Kevin stops that, and works with Elias to suplex Lashley. Lashley resists, to suplex them both! Lashley stands while the other tow get to corners. He runs and rams into Elias, then into Kevin, then back to Elias. Lashely runs back, but Kevin boots Lashley down! Then Kevin boots Elias. Kevin climbs, but Elias stops him. Elias gets Kevin on his shoulders, Electric Chair to sit-out powerbomb! But Lashley breaks the cover. Lashley drags Elias up, but Elias hits back. They brawl back and forth with heavy hands. Lashley gets around but Elias fights out. Elias runs, but into the fireman’s carry, for a press slam! Lashley vows to end it here, and gut wrenches Elias up for the AK 47! Cover, but SAMI interferes! He throws Lashley into a post, then runs in for a HELLUVA Kick! Kevin climbs up high, FROG SPLASH! Kevin wins!! The Prizefighter cashes in on this second second chance, thanks to his best friend. Sami still has his own business with Lashley, but he’s just happy to have helped. Will Kevin take the MITB briefcase away from Roode, Finn, Strowman, Miz and Rusev? And who will the last two entrants from SmackDown be? A decent episode of Raw tonight, but it also shows that Raw’s flaws have returned. 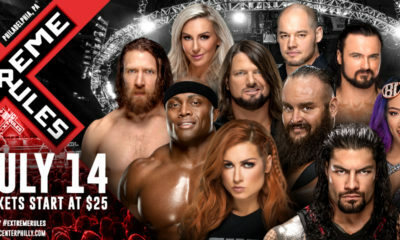 They have so many people on the roster that they had to use way more tag and triple threat matches than in a long time. The Six Women’s Tag was really fun, though, and it was great for some combination of three to get one up on The Riott Squad. I don’t understand creating The B Team to make them a relevant team. The fans got behind it tonight but I don’t see why WWE goes with them over AoP, who have been off TV for some time. Though, AoP are just another in a long line of NXT talents underutilized. Just look at The Revival: #TopGuys that lose too easily. Their match with Hardy & Wyatt could’ve been something if done right, but the momentum is no longer with Dash & Dawson. Bayley loses her qualifier, because she and Sasha still have their story to work on. I don’t know if Alexa can win, but it’d be fitting if she or a Heel with friends wins, like Ruby Riott. Alexa and Ruby have people to help them figure out the cash-in, much like what the IIconics ended up doing for Carmella. And the hype behind Nia and Ronda, I swear they’re preparing a Rollins-type cash-in to switch that match around and let Ms. MITB win it all. Bobby Roode wins to enter MITB, too, just because it’s a better move than continuing Roode VS Elias. That feud wasn’t going anywhere relevant, so this might be good to truly jump start Roode. Apparently Vince thinks he’s cleverly deceiving us into liking Roman by making him the new Daniel Bryan, aka the victim of corrupt administrations. It isn’t working, given London’s reaction. Though, I did like his Spear outta nowhere. Would it be too much to ask for that moment to be his Heel Turn? Or an actual step in the right direction, at least? And I was actually surprised Strowman & Finn lost to Ziggler & McIntyre. 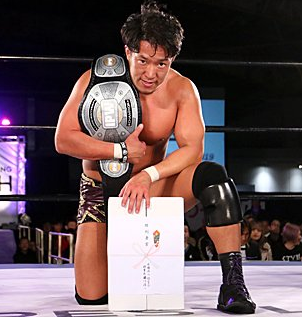 Though, I suppose it makes sense if the latter are serious about being Raw Tag Team Champions. A true tag team is supposed to be better than two singles guys together, so it’s best Ziggler & McIntyre don’t lose so soon. The only singles match, and probably the best match of the night, goes to Seth Rollins once again. He and Kevin did great, pushing both superstars’ stories forward at the same time. Rollins is becoming The Man again, slowly but surely. Meanwhile, Kevin complains to Angle and tattles to Stephanie, and he gets himself another chance, all to upset Angle. Kevin also gets his shot at Lashley’s expense, and Sami himself has a grudge with Lashley. Who knows what Sami’s segment next week will do, but it feels like we’re getting Kevin & Sami VS Angle & Lashley down the line, which will be really fun.